A surge in cases of flu and other illnesses has led Grady to return a mobile ER to its downtown Atlanta campus. The mobile unit, which is about the size of a tractor trailer and is owned by North Carolina-based Atrium Health, is the same one that served Grady last winter. It will open Thursday morning to Grady patients. “We are seeing a number of patients with flu and colds,’’ at levels similar to those last winter, said Dr. Hany Atallah, chief of emergency medicine at Grady, which typically averages 435 emergency patients a day. Atallah said other Atlanta hospitals are also seeing more people at their emergency rooms. Last winter brought an unusually high number of flu deaths nationally, and Georgia saw 154 deaths last flu season. The state has been hit hard this season as well. Five Georgians have died from influenza this flu season, according to state data from the week ending Jan. 5. But the percentage of doctor visits related to flu-like illness dropped from 7.4 percent during the previous week to 5.5 percent. Metro Atlanta has seen 674 flu-related hospitalizations since Sept. 30. The mobile ER will generally see patients with less serious complaints, and will not handle trauma cases. 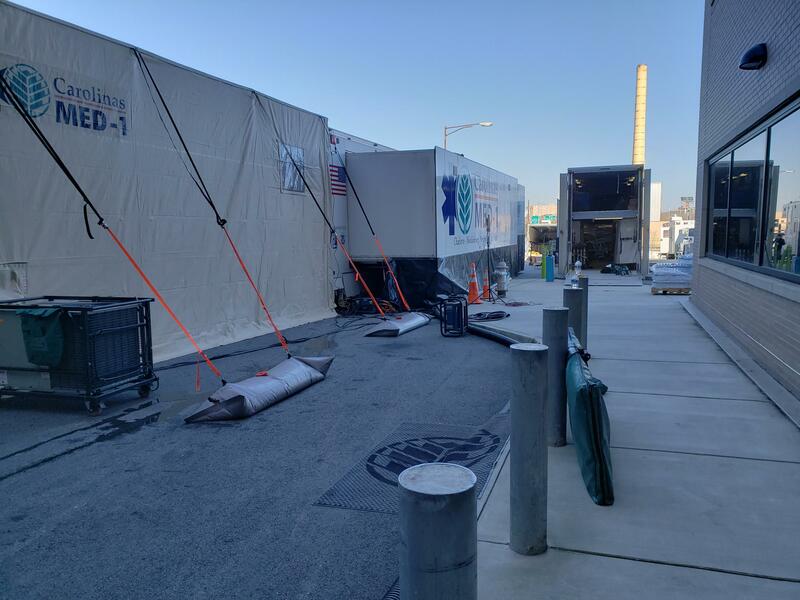 Grady expects about 100 patients a day in the temporary structure, which contains 12 beds. It will be staffed by a physician, a nurse practitioner or physician assistant, two nurses and paramedics. Grady leases the mobile unit for $213,000 a month. A year ago, it stayed in operation there for more than two months. Atrium Health says the mobile ER has digital X-ray and ultrasound services, a lab and a pharmacy. It has been deployed during disasters such as Hurricane Katrina in Mississippi in 2005, and in situations where hospitals are renovating their ERs. Atrium made news recently in Georgia when it added Macon-based Navicent Health to its group of hospitals. Andy Miller is editor and CEO of Georgia Health News.